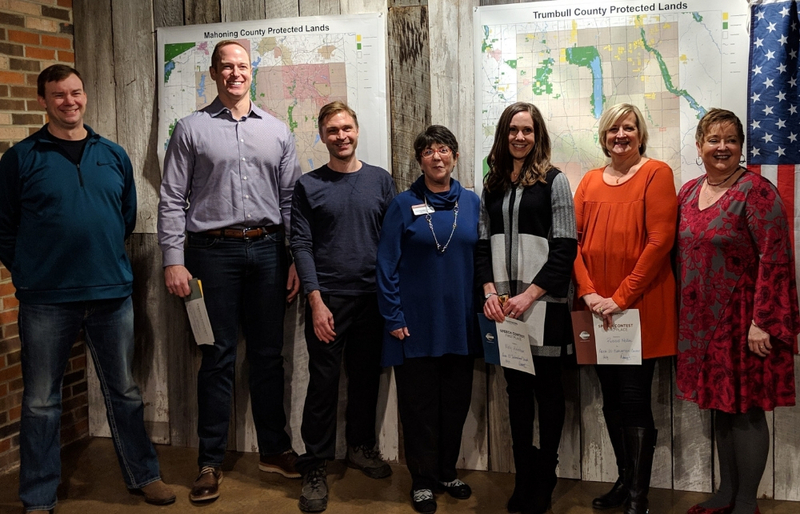 Members of local Toastmasters clubs excelled at the Area 20 Evaluation and International Speech Contest on Thursday, January 31st at the Western Reserve Land Conservancy office in Chardon. The contest was co-hosted by the Chardon and STERIS Toastmasters Club. Nancy Temple and Don Terriaco served as co-chairs of the event that attracted over 50 attendees. Area 20 consists of community clubs Chardon, Parker Speakeasies and Western Reserve, along with the STERIS corporate club. Molly Ketcham of Mayfield Village, a member of the Parker Speakeasies Toastmasters Club in Mayfield, earned first place in the International speech contest with “Try Everything Once.” She shared a few experiences – including sky diving – and how following her mother’s advice can enrich anyone’s life. Debra Richardson of Madison, a member of the Western Reserve Toastmasters Club in Madison, took first – place honors in the evaluation contest. The contestants were judged on their evaluation of a speech they heard for the first time that evening given by Lyndhurst resident David Caban, a member of Positively Speaking Toastmasters. In his speech, “What Hamilton Means to Me,” he shared about family ties and vacation memories in Hamilton, NY. Mentor resident Matt Everett of Chardon Toastmasters took second place in the evaluation contest. The Chardon Toastmasters Club meets in Chardon. on Thursday evenings at 6:30 p.m. in the offices of the Western Reserve Land Conservancy on the square in Chardon. Visitors are always welcome. Ketcham and Richardson will compete next at the Eastern Division contest on March 25th. The division winners will compete May 11th at the District 10 Annual Conference at Walsh University in North Canton. From there, International speech contest winners will compete at the region quarterfinals and may earn the right to compete in the World Championship of Public Speaking during the 88th annual Toastmasters International Convention in Denver, CO in August. District 10 Toastmasters encompasses the geographic area of Northeast Ohio. There are more than 2,000 members of Toastmasters and 100 different Toastmasters clubs in the district. For more information, visit District 10. The Toastmasters mission is to provide a supportive and positive learning experience in which members are empowered to develop communication and leadership skills, resulting in greater self-confidence and personal growth. Visit Toastmasters for more information. Pictured In Cover Photo: Celebrating their victories at the Area 20 Evaluation and International Speech Contest are: From Left to Right: Matt Everett, Patrick McKenna, Marvin Hershberger, Area 20 Director Amy Fahnestock, Molly Ketcham, Robbie McKee and Debra Richardson.